Director’s Desk: Welcome to the Operations & HR Issue! I know, I know. 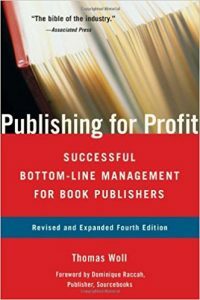 Most of you didn’t enter the business of publishing because of a love for operations. You entered this business to share ideas, to reach people with the written word—perhaps to change the world. Mastering metadata and managing contractors wasn’t tops on your list. To get you thinking along these lines, we’ve packed this issue with advice and anecdotes. 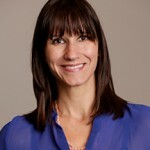 I’ve already mentioned Deb Vanasse’s in-depth cover story, “Organizational Value” , where she discusses business structures, working relationships, accounting, royalties, and more. You’ll also find Helen Sedwick’s piece, “Navigating the Legal Landscape of Manuscript Reviews”, and a look at the state of ethnically diverse characters in children’s books in “Where Are the Ethnically Diverse Characters in Children’s Books?” by Paul Dixon. For my part, I wanted to leave you with a short list of books that have contributed to my professional education over the past 15 years. I hope this list is helpful and that you’ll e-mail me at angela@ibpa-online.org with your additional suggestions. Together we help each other achieve and succeed! 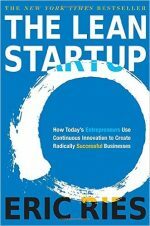 Why it’s great: Eric Ries defines a start-up as “an organization dedicated to creating something new under conditions of extreme uncertainty.” By this definition, every book published is a start-up that could benefit from leveraging creativity more effectively. 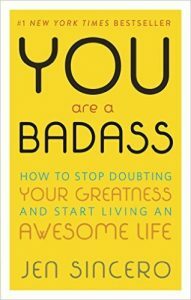 This book helps you understand how. Why it’s great:This is just great fun. 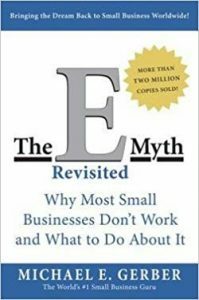 Although not specifically a business book, its ability to help you better understand your motivations will certainly apply to your business—especially if you’re self-employed. Why it’s great:This has been one of my favorites for over a decade. In it, Gerber walks you through the steps in the life of a business from entrepreneurial infancy, through adolescent growing pains, to the mature entrepreneurial perspective, the “guiding light of all businesses that succeed.” A must-read for anyone looking to expand their business without knowing exactly how.